No Seed Company has Grazed as many Horses as We Have! Having always had horses, and supplied hay all over the UK, we have the knowledge to provide you with the best mix for your animals. 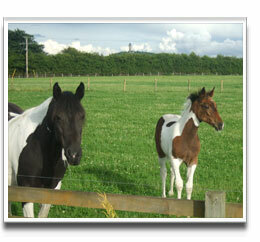 Please call Alan or Alison on 01259 760400 or email alan@grassseed.co.uk to discuss your horses needs. 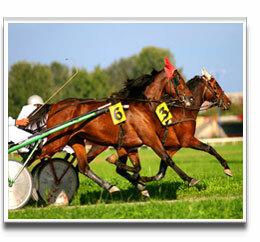 Our mixtures have been designed specifically to handle horses and ponies and the damage they can do to a field. 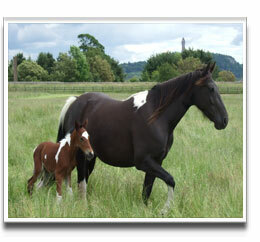 We know that horses require different mixtures compared to those of cattle and sheep and though the mixtures detailed on this page are intended for horses they can be still grazed by other stock. We offer advice on how to maintain horse pasture in good condition, taking into consideration soil types, area and the use of the paddock. We try to give answers and solutions to grassland management problems. We offer excellent service delivery times, and technical advice. By managing your pasture well, you should be able to maximise the volume of grass and nutritional content available for horses. As we are independent suppliers of Grass seed, we can pick and choose from all the best Ranges on the market. If there is any mixture that you are looking for or been recommended we can supply. A Long term mixture (5 years plus).The varieties used in this mixture are specifically selected to withstand the heavy demands of equine use. If you are not grazing native pony types, adding in clover to the following mix will do your horses no harm and your land a lot of good. This is a fast establishing mix which produces a diverse cover on poached area such as along fences and in gateways. This mix can also be used to improve the pasture and to increase the grass varieties to the sward. This mix produces a high quality turf that can even be striped when cut if required. 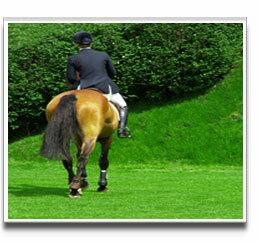 The high inclusion rate of Smooth Stalked Meadowgrass is anti slip for horses, and binds the whole turf together. Emergence and establishment is quick. 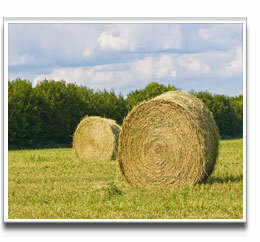 Quality Hay Grass Seed Blended for your needs. 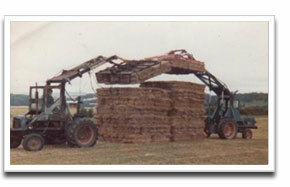 Making top quality hay is a specialist job. If managed well this mix will last many years of consistent quality coarse hay. Please call Alan or Alison on 01259 760400 or email alan@grassseed.co.uk to discuss your hay needs. TWO YEAR LEY - This mixture is for the production of hay or haylage, and though it can used for grazing it is in particular a cutting ley. This will last 2 years and will produce a consistent sample of hay. It is most suitable for professional buyers.The yield will be 30 . 40% greater than from permanent grass but the yield will drop after two years. This grass seed mix is 100% hardy but using low growing amenity varieties with an amenity appearance which can also be grazed if required. Ideal for overseeding divots. The Perennial Ryegrass is very quick to germinate, Excellent wear tolerance, Good shoot density, Superb winter colour. 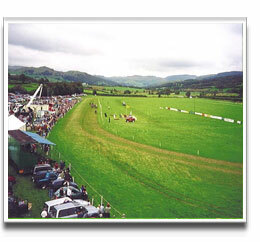 This mixture has been designed for new racecourses, polo fields and end of season renovation and oversowing. The addition of Limousine smooth stalk meadow grass dramatically improves the root strength and visual characteristics of the sward, whilst also improving the long term ability of the turf to recover after wear. For new seedings or end of season course renovation. Perennial Ryegrass varieties have excellent live ground cover and will withstand hard wear. Creeping Red Fescue has excellent binding qualities to produce hard wearing turf Smooth Stalked Meadow Grass will improve the root strength of turf and aid recovery time. Hard wearing 80% Turf Perennial Ryegrass /20% Strong Creeping Red Fescue blend, suitable for course renovation, fast establishment, high shoot density, lush ground cover . By managing your pasture well, you should be able to maximise the volume of grass and nutritional content available for horses. As we are independent suppliers of Grass seed, we can pick and choose from all the best Ranges on the market. If there is any mixture that you are looking for or been recommended we can supply. 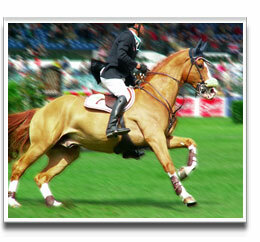 the best option for you and your horses. Please call Alan or Alison on 01259 760400 or email alan@grassseed.co.uk to discuss the best option for you and your horses. All varieties subject to availability at time of order.